The Celtic Media Group has four other weekly regional papers, including the Anglo Celt. ELEVEN JOBS HAVE been saved thanks to the sale of the Connaught Telegraph to the Celtic Media Group. Liquidator Sean McNamara, of Smith and Williamson, made the announcement today, saying the Connaught Telegraph had been sold to Celtic Media Group for “an undisclosed sum”. The liquidator said that a number of parties from Ireland and the UK “had expressed an interest in the title”. The Telegraph is one of the country’s oldest newspaper titles and its sale is subject to Competition Authority clearance. Celtic Media Group’s publications portfolio includes four weekly regional newspapers such as the Anglo Celt and Meath Chronicle, as well as two free newspapers. The group employs 125 people, and is also a newspaper printer, including the Irish Mirror and Sunday Mirror. We are delighted that a newspaper with a publishing tradition back to 1828 will now be joining our company. We look forward to investing in the future of this fine title. 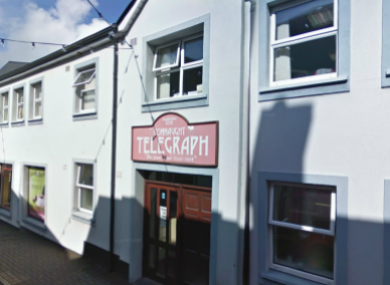 Celtic Media Group has been a pre-press and print service provider to Connaught Telegraph since 2011. It has operated the title under a licence agreement with the liquidator over recent weeks. The paper continued to trade while it was in liquidation. Email “11 jobs saved as Connaught Telegraph sold to Celtic Media Group”. Feedback on “11 jobs saved as Connaught Telegraph sold to Celtic Media Group”.